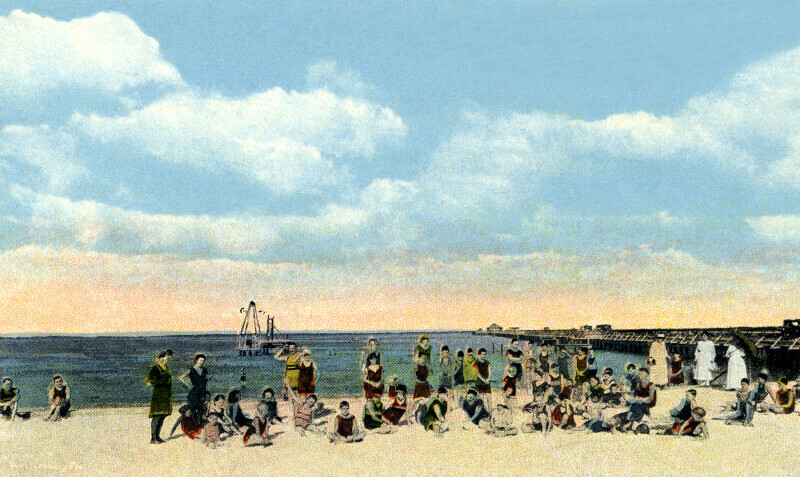 In this scene, the viewer has their back to the spa building, and is gazing out across the waters of the bathing beach. There are many people on the beach, and most appear to be posing for the picture. In the distance, there is a wooden diving platform built over the water. To the right, a long pier stretches into the distance.